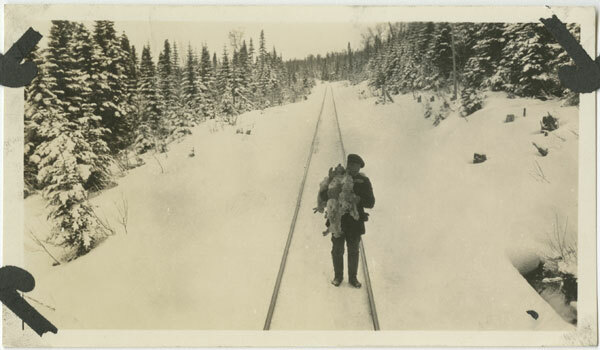 Here is a photo of an unknown man carrying several dead rabbits as he walks along the railway tracks on the west coast of Newfoundland. The photo was taken around the early 1900s. Snaring rabbits is a popular winter activity within the province. People say it is best to snare rabbits after a fresh snowfall. There are many different ways to prepare rabbit. I remember my mother bottling it, making it into stew and roasting it when I was a child. How do you prepare rabbit?